This year, I will be featuring other writers in a Dose of Simple– all strong, all wise…each possessing a unique voice. To start off this series, let me introduce you to Reg. I first met Reg back in college in Ateneo where we were taking up Communications. As far as I can remember, Reg was the only athletic girl in our batch–always in her trainers, t-shirt and running shorts. And boy, did she have lean, powerful legs! Here, she shares how she put those legs to good use and how she learned the valuable lesson of forgiveness. Eighteen years ago, when I was twenty-two, I chased a burly crook who had dared to steal my wallet in broad daylight. I knew that my chances of catching the thief were practically nil, but I ran anyway. I’m glad I did because on that day, providence plus a few good policemen were on my side. It was around noon when that memorable event occurred. I had just signed a contract to work for a spanking deluxe hotel in the Ortigas area, and was feeling happy and excited about my new job. After I left the hotel, I boarded a bus to go home (I did not own a car then), carrying only a wallet and an umbrella. Normally, I dislike having an umbrella with me when I commute, so I do not know why I decided to bring one at that time. For almost the entire trip, I had a long seat all to myself. I remember that the konduktor looked uninterested, that the bus was only half full, and that the sun was blazing outside. Although my attention was not really on my fellow commuters, it was hard to ignore one of them—a big man wearing sunglasses and sporting a crew cut who kept changing seats. He wore a plain white shirt and dirty gray-black jeans, and had a green bag slung across his shoulder and a bulky white plastic bag in one hand. First, he occupied the seat across mine. The next time I looked, he was seated directly in front of me. Then, as the bus approached its final destination and only a handful of passengers remained, I noticed that he was on the seat right behind me. The man made me feel uneasy, but I tried to ignore him and stay calm. My dad, after all, had been an agent of the NBI for more than two decades, and had repeatedly warned me and my siblings about suspicious-looking characters like this guy. And besides, my stop was nearing and I was about to get off the bus soon. Suddenly, someone sat beside me and said threateningly, “Bigay mo sa akin yang wallet mo, kung hindi, papatayin kita! (Hand over your wallet; if you don’t, I’ll kill you! )” It was the seat-changing thug, of course. I was terrified yet I did not want to give in, but he yanked the wallet from my hands just the same. When he did that, I took a quick look at him and realized that he did not have a weapon—no knife or gun to harm me with. So I decided to fight back. The thief fell to the ground and for a moment, looked dazed and unsureof what to do. When he saw that I was about to get off the bus too, however, he swiftly picked himself up and sprinted in the middle of the street, toward the incoming traffic, as if hounded by vampires and cannibals. I jumped off the bus and ran after him. I had gone not more than twenty meters when a police car screeched to a stop in front of me. In it were four or five men in civilian clothes. Immediately and without being told to, two of them got out of the car and dashed after the fleeing robber, who was already some distance away and running close to the street’s center island. The other men from the police car directed traffic and tried to control the growing crowd of onlookers. I had stopped running but had kept my eyes on the robber. When I saw him drop something near the island before racing across the street and disappearing beneath a cluster of houses, I knew at once that it was my wallet, and I started running again. Fortunately, I reached my wallet before any of the kibitzers did. It was dusty, but the contents—my money, identification, and bank cards, and employment contract—were intact. Several minutes later, the men in plain clothes returned, together with the criminal, who was by then securely in handcuffs and cowering in shame. When he saw me, the robber begged me to forgive him and to let him go. He said that he took my wallet because his wife had just given birth and they had no money. He told me that he needed to be free because he was about to start his new job as a security guard the next day. I learned that he was a first-time offender. The police locked him up in a tiny cell that already contained about ten other hooligans. The incident was an eye-opener in more ways than one. It taught me to trust my judgment and to have more confidence in my abilities. It showed me that there are fine, noble law enforcers out there and that not all Filipino policemen are inept or corrupt, despite what the news reports say. It made me realize how kind God is since I and the others involved were unscathed by the crime. Moreover, what happened made me hope and believe that good can emerge from something bad. When I was summoned to appear in court for the robbery case, I did not go. I eventually decided not to pursue the case against the thief hoping that his time in jail, however brief, had taught him a valuable lesson. I prayed that like the robber Dimas who was with Jesus in Calvary, he would truly repent and change for the better. 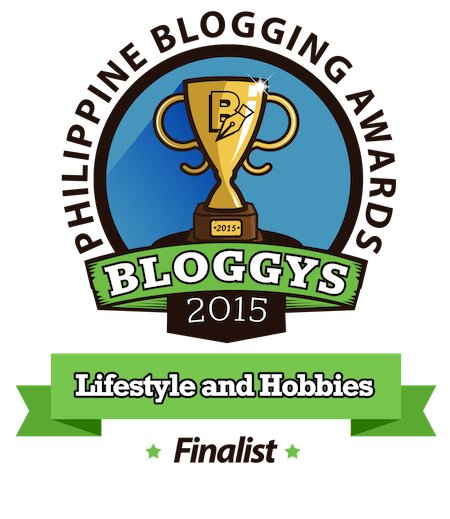 Regina G. Posadas is a homemaker and a freelance writer. She loves long walks, chocolates, tennis, and the quietude of early mornings. This 2014, she will play more and worry less. This article first appeared here.